The original Samsung Galaxy S (I900) has an AMOLED display that is known for exceptional pixel depth, color saturation and battery life. 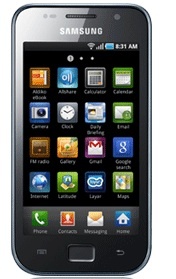 Due to the shortage of AMOLED displays and price concerns in emerging South Asian markets, Samsung has launched a redesigned Galaxy S variant, Galaxy S LCD (I9003). The new model has a 4.0″ 480 x 800 pixels LCD display instead of the AMOLED in Galaxy S. The design and other specifications of the Galaxy S LCD are almost same as the Galaxy S. Galaxy S LCD is now available in India-in effect, the old model has been discontinued. The soon expected availability of Nexus S and Samsung Galaxy S2 is also considered as a reason for withdrawing Galaxy S. Apart from the display, the major changes in Galaxy S LCD are in processor, RAM (512MB to 478MB), storage, and battery capacity. The processor is still 1GHZ but chipset has changed from Samsung’s Hummingbird to, TI OMAP 3630. Samsung Galaxy S LCD has inbuilt 4GB storage (8\16GB in Galaxy S)and is expandable up-to 32GB via card slot. Improved battery life (1650 mAh) is another plus point of this phone. 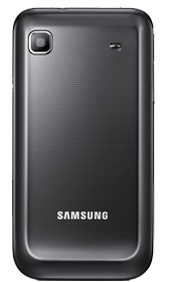 Other specifications of the Galaxy S LCD are given here. The change in specs has reflected in the price of the phone. The latest price of Samsung Galaxy S LCD in India is 19500/- (USD 420) including taxes and other charges. The old Galaxy S is still available in some shops at 23000/- price range. Anyway those who are looking for an affordable Android phone with premium features can go for Samsung Galaxy S LCD without any doubts.